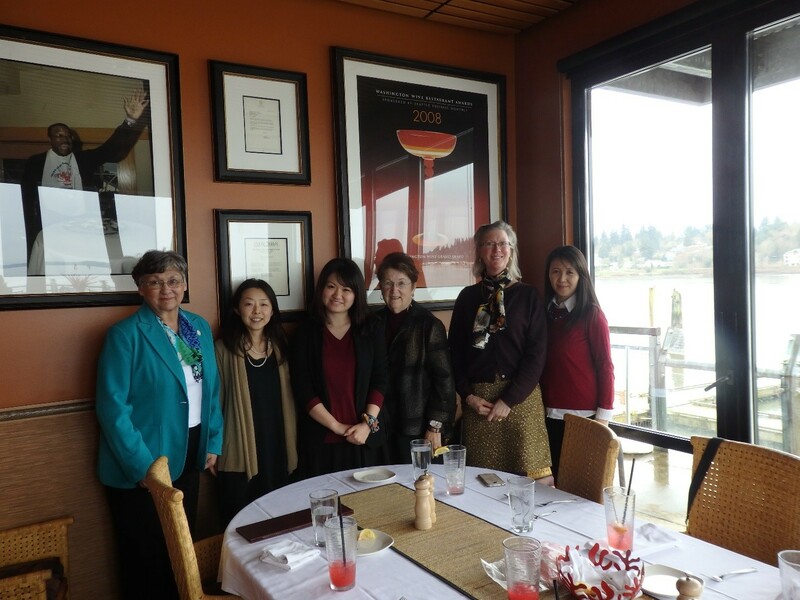 In March 2017, members of ASPA’s Evergreen Chapter welcomed Ms. Marina Inagaki to Washington State for a two week internship. Marina is a doctoral candidate at the University of Hyogo in the Disaster Nursing Global Leader Program, Graduate College of Nursing Art and Science. As a young girl, Marina survived the 1995 earthquake in Kobe, Japan. She was inspired by that disaster to pursue a career as a registered nurse. In 2011, she provided health consultation in temporary housing following the East Japan Earthquake. After the earthquake in Kumamoto in 2016, Marina provided nursing care and support, particularly to the elderly. Physical Education teacher, Rick Mortlock, discusses the disaster plan of his elementary school with Marina Inagaki and Kiriko Takahashi. Evergreen Chapter board members helped Marina arrange a variety of meetings with practitioners, academics and nonprofits to facilitate her research on comparisons of policy and practice between Japan and the United States. Marina has a goal of developing a health assessment tool for use in disasters and establishing a system in Japan that allows for better outreach to vulnerable populations. Visits in Seattle included Peace Winds America, the American Red Cross and an assisted living center run by Providence Mount Saint Vincent. Marina met with faculty of the School of Nursing at the University of Washington, and staff of the Hyogo Business and Cultural Center. Additional contacts who were unavailable to meet with Marina in person provided resources and answers to questions she had sent them. In Olympia, Marina met with staff of Senior Services and the director of Meals on Wheels. During this exchange, Marina was pleased to learn about the nutritious meals delivered to homebound individuals. She noted the sweet snacks provided as food supplies by NGOs and the local government after the Kumamoto earthquake contributed to the development of diabetes and hypertension in many elderly citizens. While in Olympia, Marina learned about how AmeriCorps members support communities in Washington State with disaster preparedness and response. Board members, Kiriko Takahashi and Mary Van Verst, accompanied Marina on a visit to an elementary school to learn about its disaster plan. 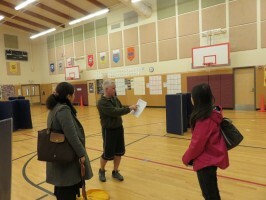 Since experiencing an earthquake in 2001, the school has made improvements to its plan, including the creation of a faculty committee for student parent reunification following a disaster. Aside from earthquake and fire drills which take place on a schedule, Marina was surprised to learn that active shooter drills now take place, as well. As part of the welcome for Marina, the chapter sponsored a luncheon for her to meet with chapter members and long time supporters of the sister-state relationship between Washington and the Hyogo Prefecture. At the luncheon, Marina met Senator Karen Fraser and Mae Ostergren, who co-led a Friendship Delegation to the Hyogo Prefecture in the summer of 2015. Evergreen Chapter board members, Mary Van Verst and David Broom were part of the delegation as representatives of ASPA. Response to Marina’s recent visit was due in part to a relationship that the Evergreen Chapter has had since 2003 with the Hyogo Administrative Policy Studies Association (HAPSA). Author: Mary Van Verst serves as Secretary and International Affairs Coordinator for the Evergreen Chapter.